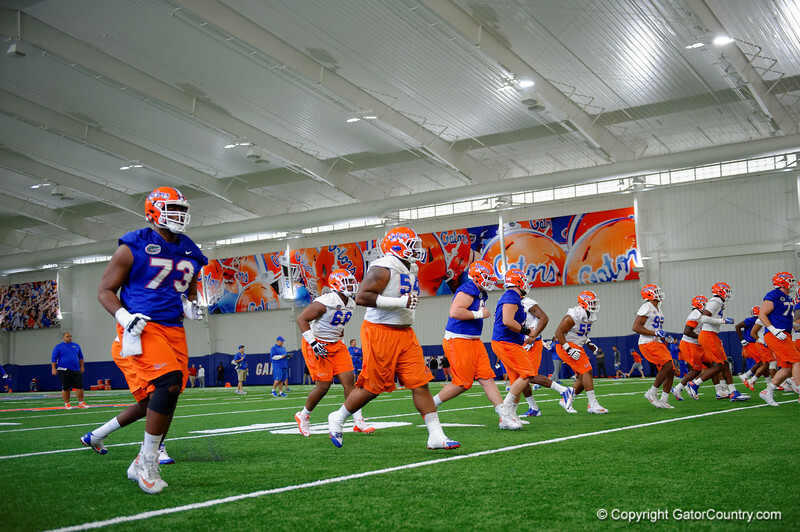 Florida Gators offensive lineman Martez Ivey as the Gators run through drills during the second week of spring football practice. March 14th, 2017. Gator Country photo by David Bowie.